When it comes to the great American singer/songwriters, John Prine has always been grievously underserved in the book department ... until now. 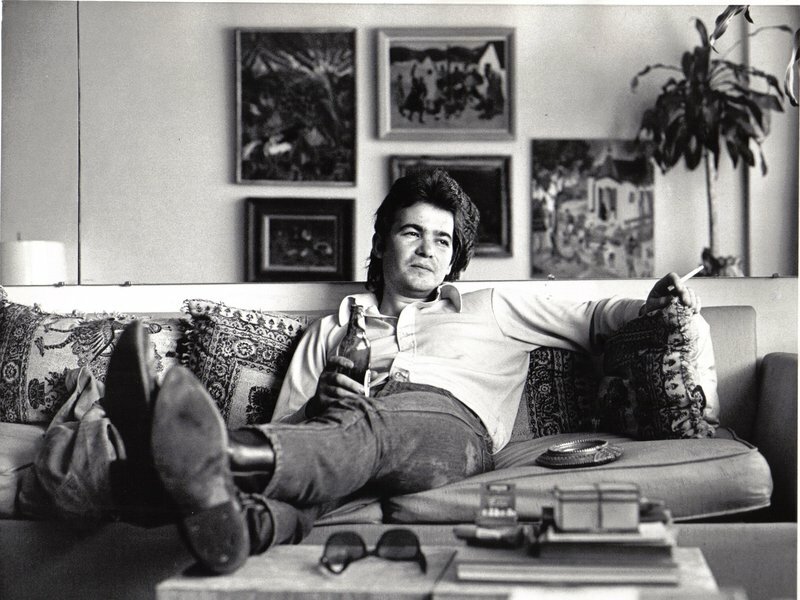 Incredibly, the entire literary canon dedicated to Prine, whose deceptively simple, wildly inspired songs frame everyday lives in extraordinary ways, previously consisted of a single, unauthorized biography. But now Prine has finally trotted out a tome of his own: Beyond Words. The man who began his professional life as a Chicago mail carrier, and whose songs make a virtue of a humble proletarian perspective, seemingly doesn't possess enough ego to unleash an autobiography. Instead, Beyond Words, released through Prine's own longtime Oh Boy imprint, is a combination songbook/photo collection, spiced with some of the anecdotes behind the images. The book features photos from every phase of Prine's life — the information card he filled out to sign up for an open mic at Chicago's Fifth Peg in 1969; his Grandaddy Ham running the mail ferry across the Green River in Paradise, KY (saluted in Prine's song "Paradise"); the original handwritten draft of the widely covered "Angel from Montgomery"; an early unfavorable concert review with the headline "Entertaining as a Dog Bite." And in between the chords and lyrics to songs from all across his career — from the early existential gem "The Late John Garfield Blues" to 1991's devilishly absurdist "The Sins of Memphisto" and beyond — Prine drops some nuggets of reminiscence about the path he's traveled. In the video clips below, the man whose blend of cockeyed humor and almost Zen-like poetic observation resulted in some of the post-Dylan era's most powerful songs offers up some more extensive stories about the memories the book brings up. A childhood photo with Prine's brother and cousin calls up a story of a swampy boat trip in Muhlenberg County, Kentucky to a ghostly, abandoned prison, where a young Prine learned about the secret connection between cucumbers and copperheads.